Does Splenda Increase Your Risk for Cancer? Does the artificial sweetener Splenda (sucralose) cause cancer? Is it a safe substitute for sugar in a cancer prevention diet? If you google the question "Does Splenda cause cancer" you'll get answers saying both yes and no. Some articles quote studies that found leukemia in mice and say yes, In contrast, you may read of studies which assert that Splenda does not increase cancer risk and is safe, even in pregnant and breastfeeding women. Which answer is correct? Splenda, known by the generic name sucralose, is a non-nutritive sweetener that is 600 times sweeter than table sugar. It was first approved in 1998 as a table-top sugar substitute, and in 1999 was approved as a general purpose sweetener. 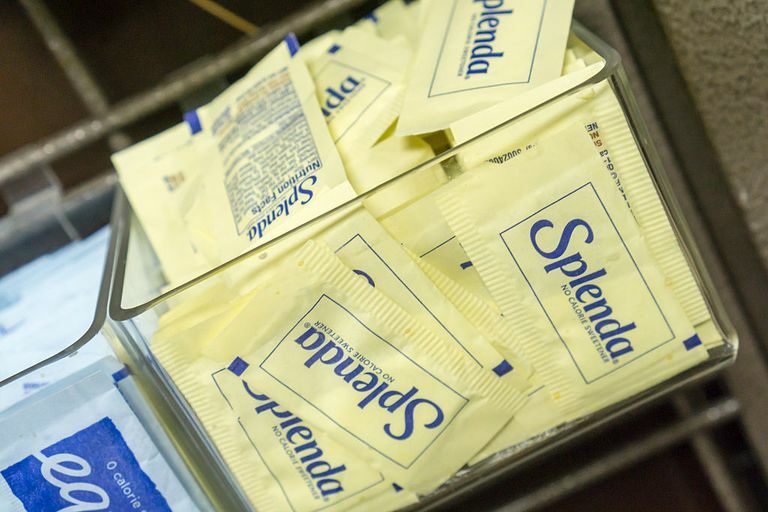 At the current time, Splenda is estimated to be present in at least 4500 different products ranging from dessert mixes to syrup and is available in at least 80 countries. Sucralose is made by starting with regular white table sugar (sucrose.) The difference is that in the artificial sweetener three hydrogen-oxygen bonds are replaced with chlorine atoms. Though there has been hype about chlorine atoms in the compound (since chlorine can be a risk factor for cancer) these chlorine atoms are not present in a form which causes worry. Sucralose interacts with nerve cells (chemoreceptors) in the digestive tract that play a role in our brain's interpreting a sweet taste sensation. If you are confused by the different sugar substitutes currently available, here is a comparison of artificial sweeteners that are currently being used in the United States. There has certainly been controversy surrounding sugar substitutes. The cancer stigma that surrounds artificial sweeteners is believed to stem from the 1970s when lab rats developed bladder cancer during a saccharin trial. Although no case of cancer in a human has been reportedly linked to saccharin, the stigma still remains and continued with the approval of aspartame (which is likely of more concern than Splenda). On the other side of the equation is a large amount of sugar the average American consumes—reportedly 22 teaspoons daily—combined with the rising rates of obesity and diabetes. We could fill a novel with some of the arguments on either side, but for our purposes here, we'll look at Splenda (sucralose) alone and what we have learned about whether or not it may cause cancer or lead to health problems that increase cancer risk. Before discussing the studies, it's helpful to define a few terms. Carcinogenicity refers to the ability of a substance to cause cancer. Genotoxicity is a similar term. It refers to the ability of a substance to damage genes (genes within the DNA which are in the nucleus of every cell). Cancer usually begins when a series of gene mutations and other genetic damage cause a cell to divide and grow out of control. In other words, it is genotoxicity (the ability to damage genes) that usually makes a substance carcinogenic. It's important, to begin with the regulatory committee decision on whether Splenda can cause cancer. Based on more than 110 studies (physiochemical and pharmacokinetic/toxicokinetic studies), in the lab, in animals, and in humans, Splenda is thought to be safe. The FDA has approved the use of sucralose to be used in the consumer market without restrictions. In addition, studies evaluating the metabolites (breakdown products of sucralose as it is metabolized by the body) were found to have no carcinogenic potential. Overall, sucralose was found to have no potential for carcinogenicity or genotoxicity, even at high doses in both in-vitro and in vivo studies. In vitro studies refers to those that are performed in the lab usually in a dish, while in vitro studies evaluate the way a substance interacts in the body of either laboratory animals or humans. We've heard what the FDA has to say, but let's talk about what the studies say, what they don't say, and what hasn't been studied so that you can make your own educated decision about whether or not you wish to include Splenda in your diet. Most studies have not shown any increase in cancer risk with Splenda with the exception of a 2016 Italian study. In this study looking at the effect of sucralose in swiss mice, it was found that the male mice exposed to higher doses of sucralose had an increased risk of developing leukemia. A follow-up study by the manufacturer failed to show this association, but what did the study actually test? The Splenda (sucralose) and leukemia study looked at mice who were given sucralose in three different doses beginning in utero (prenatally) and continued throughout their lifespan. At doses equivalent to ordinary human doses there was not an increased risk of leukemia. There was, however, an association at doses roughly equivalent to four times the recommended daily intake in humans when used throughout their life. A study such this is difficult to interpret. Certainly, most adults are not going to use four times the recommended maximum amount of sucralose every day of their lives. But what amount is safe? In general, it's thought that there is no safe limit to a carcinogen. This is also only one study—though relatively large compared to other studies. Compared to many risk factors in our lives, if this does mean an increased cancer risk, it is probably small relative to other risk factors we are exposed to daily. For example, it's thought that home exposure to radon causes 27,000 lung cancer deaths annually (there are around 40,000 deaths related to breast cancer) but many people haven't taken the time to purchase a ten dollar test kit to find out if their home is a problem. Aside from cancer risk, sucralose has been found to have a few actions of concern in the digestive tract. In other words, it is not "inert" or completely inactive. Since this article is addressing possible cancer risk, we will stick with the findings which could possibly have implications for the formation of cancer—even if distant. Splenda (sucralose) appears to decrease the number of "good" bacteria in the gut. We are learning that having enough good bacteria in the gut is as important or more important than having "bad" bacteria in the gut. It's not certain if this has any significance or if this is related to another finding—that sucralose is a risk factor for inflammatory bowel disease. We need to make clear up front that saying that something is a risk factor does not mean that it is a cause. For example, older age is a risk factor for many cancers but is not a cause of cancer. Inflammatory bowel disease (IBD) includes conditions such as Crohn's disease and ulcerative colitis. We know that inflammatory bowel diseases raise colon cancer risk. In addition, some treatments for IBD elevate cancer risk. Knowing this we can't necessarily jump to the conclusion that sucralose could cause cancer (by predisposing to IBD which in turn predisposes someone to cancer) but it's still important to be asking this question. You're probably familiar with a study which rocked the airwaves: soda containing artificial sweeteners may actually increase the risk of obesity. Many studies have looked at artificial sweeteners for weight loss and though there isn't time to address this here, Splenda (sucralose) was found to increase appetite in at least one study. Since obesity is a strong risk factor for cancer (almost head to head now with smoking) and diabetes (often related to obesity) is an independent risk factor for cancer, this is an important topic to be looked at more thoroughly. The finding that sucralose may increase appetite is fairly ironic given that the compound is often used to avoid the calories associated with sugar. The real concern, however, is that the average American consumes far too much sugar, and obesity has become nearly epidemic. Safety studies have been done looking at the effects and stability of sucralose under normal conditions of use. Some researchers asked the question, "What happens, however, if sucralose is exposed to heat, such as with cooking?" In this setting (even with mild heating) there is a bit more concern. Cooking sucralose at high temperatures generates compounds known as choropropanols which are potentially toxic compounds. Since sucralose gets into the water supply and is present in groundwater, scientists have been trying to study what—if any—effect this may have ecologically. At this time we simply aren't sure. At the present time, there is little evidence that sucralose—used in normal amounts and not heated—contributes to cancer risk. Following the "everything in moderation" rule, a little Splenda is probably not worth fretting over for those who crave confections. It's important to note that while many people are concerned about what we still don't know about artificial sweeteners, there are probably many other risks in our lives that may be more deserving of our focus. Berry, C., Brusick, ., Cohen, S., Hardisty, J., Grotz, V., and G. Williams. Sucralose Non-Carcinogenicity: A Review of the Scientific and Regulatory Rationale. Nutrition and Cancer. 2016. 68(8):1247-1261. Cesare Maltoni Cancer Research Center. Sucralose Administered in Feed, Beginning Prenatally Through Lifespan, Induces Hematopoietic Neoplasias in Male Swiss Mice. International Journal of Occupational and Environmental Health. 2016. 22(1):7-17. Grotz, V., and I. Munro. An Overview of the Safety of Sucralose. Regulatory Toxicology and Pharmacology. 2009. 55(1):1-5. Li, R., Zheng, J., Jiang, M., Liu, Y., Qin, X., and X. Wang. Increased Digestive Proteases and Decreased β-Glucuronidase in Feces of Rats Treated with Sucralose and Saccharin-Another Critical Evidence That These Dietary Chemicals May Be Important Causative Factors for Inflammatory Bowel Disease. Inflammatory Bowel Disease. 2016. 22(8): E29-30. Schiffman, S., and K. Rother. Sucralose, A Synthetic Organochlorine Sweetener: Overview of Biological Issues. Journal of Toxicology and Environmental Health. Part B, Critical Reviews. 2013. 16(7):399-451. Soffritti, M., Padovani, M., Tibaldi, E., Falcioni, L., Manservisi, F., and F. Belpoggi. The Carcinogenic Effects of Aspartame: The Urgent Need for Regulatory Re-Evaluation. American Journal of Industrial Medicine. 2014. 57(4):383-97. Wang, Q., Lin, Y., Zhang, L. et al. Sucralose Promotes Food Intake Through NPY and Neuronal Fasting Response. Cell Metabolism. 2016. 24(1):75-90. Does Garlic Reduce Your Risk of Cancer? How Can You Lower Your Risk for Leukemia? What Is Your Cancer Risk If You Have a BRCA2 Mutation? Does Sugar Actually Cause Cancer? What Can People Do to Lower the Cancer Risk of Grilled Meats?